Back by popular demand, Classical Mystery Tour will return to the stage with The Lee University Symphony Orchestra to perform “A Tribute to the Beatles” for the next installment of Lee’s Presidential Concert Series. The performance will take place on Monday, Nov. 20, at 7:30 p.m. in the Conn Center. Composed of Beatlemania veterans, Classical Mystery Tour plays Beatles classics, backed by a symphony orchestra, and is made up of four musicians that look and sound like the Beatles. CMT features Jim Owen (John Lennon) on rhythm guitar, piano, and vocals; Tony Kishman (Paul McCartney) on bass guitar, piano, and vocals; David John (George Harrison) on lead guitar and vocals; and Chris Camilleri (Ringo Starr) on drums and vocals. 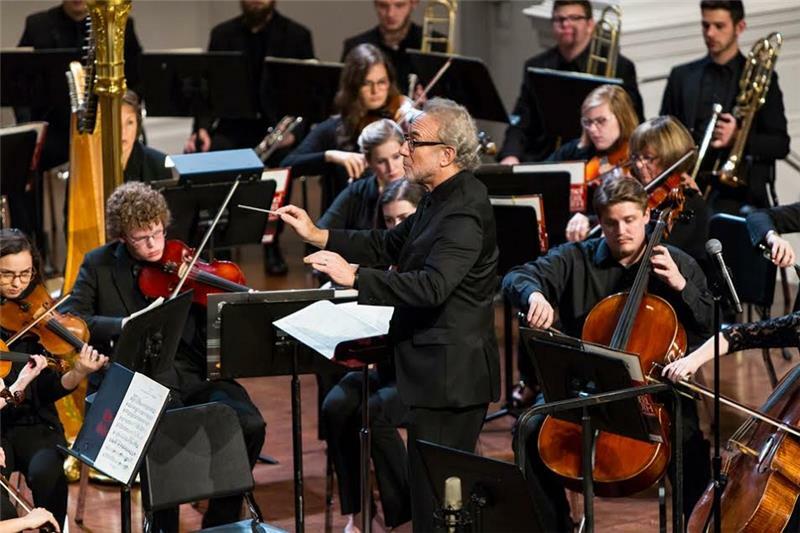 The Lee Symphony Orchestra is returning for its fifth pops performance on the Presidential Concert stage, after collaborating with guest artists in tribute to ABBA, The Piano Man: Billy Joel and Elton John, and Simon and Garfunkel. Mr. Bernhardt joined Lee’s School of Music in the spring of 2011 as an artist-in-residence and conductor of the Lee Symphony Orchestra. He led the Chattanooga Symphony and Opera for 19 years and is a popular guest conductor for orchestras around the country. He also serves as music director emeritus of CSO and principal pops conductor of the Chattanooga, Grand Rapids, and Louisville Symphonies. Tickets are $15 for adults and $5 for seniors and children. They can be purchased at the Lee University Box Office in the Dixon Center or by contacting 614-8343, Monday-Friday, from 3-6 p.m.
For more information about “Classical Mystery Tour,” visit https://www.classicalmysterytour.com/. For more information about the Presidential Concert Series, visit http://www.leeuniversity.edu/pcs/ or call the School of Music at 614-8240.